The South End Cob Co-op continues! 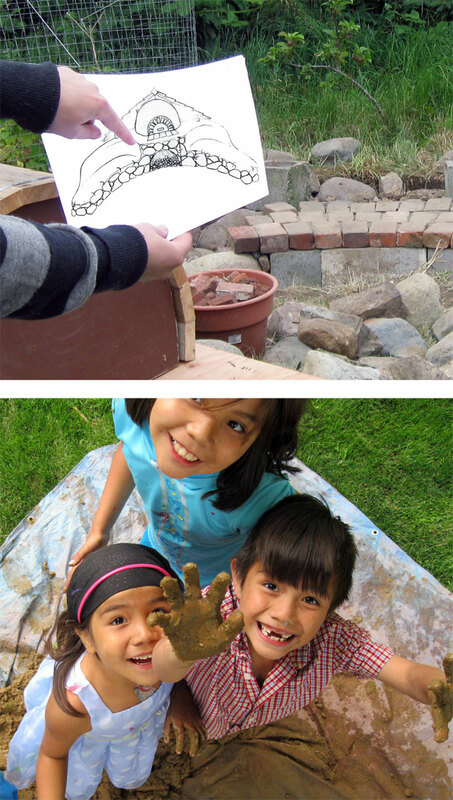 FREE work parties this August! Announcing your next opportunities to get involved, learn and work with cob in the South End. As many of you know we started our first South End Cob project off with an oven and now we have the two attached benches to finish off! Please join us this August during the following dates to get an intro to basic foundations and cob mixes. hese work party times are also a perfect opportunity for those of you who are curious about the South End Cop Co-op and haven’t yet signed up – Join us! August 21st, Sunday 5 pm on! 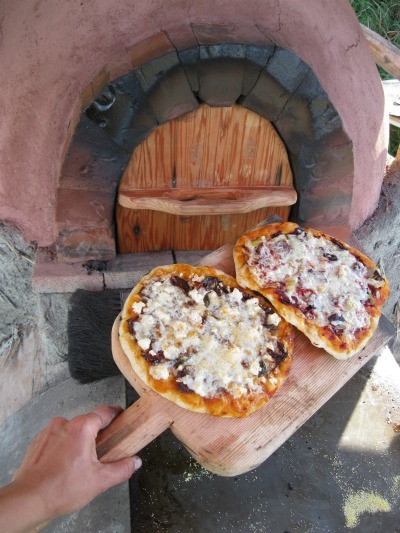 *Celebratory Cob firing – bring something to bake in the oven! If you’re interested in coming by and haven’t yet been to the site please email clauren1@gmail.com to get directions! Be respectful of gardens, pathways and animals at all times. This is an all ages event – everyone welcome! Parents/guardians are completely responsible for and expected to look after younger ones safety. 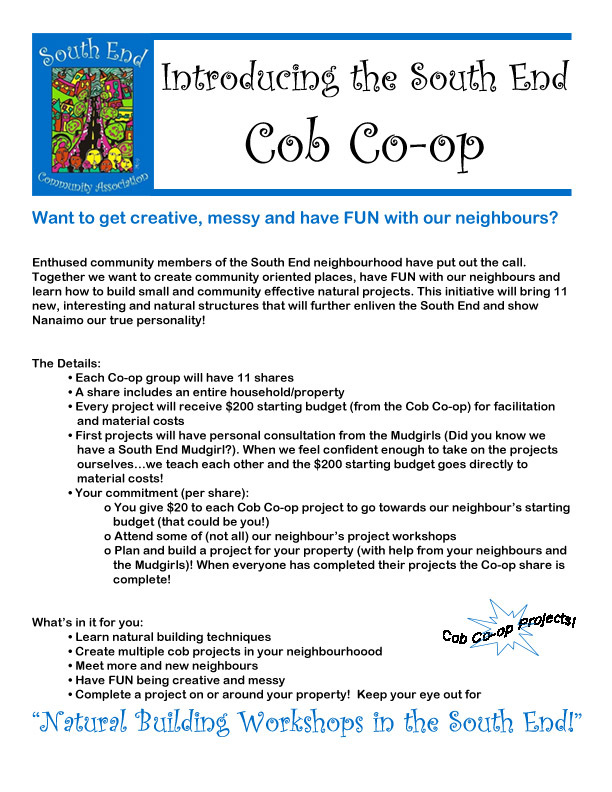 For more information on our South End Cob Co-op, click here. South-end residents found yet another way to make their neighbourhood stand out from all others in Nanaimo. Chris LoScerbo leads that charge as she prepares to teach people from at least 10 other households how to create cob sculptures that have practical functions and help inspire people to get to know their neighbours.